Google has scheduled its yearly developer conference, Google I/O, to take place between May 8 and May 10 this year and the heavy-hitter of the event will most certainly be the next flavor of Android that will undoubtedly be announced on stage. 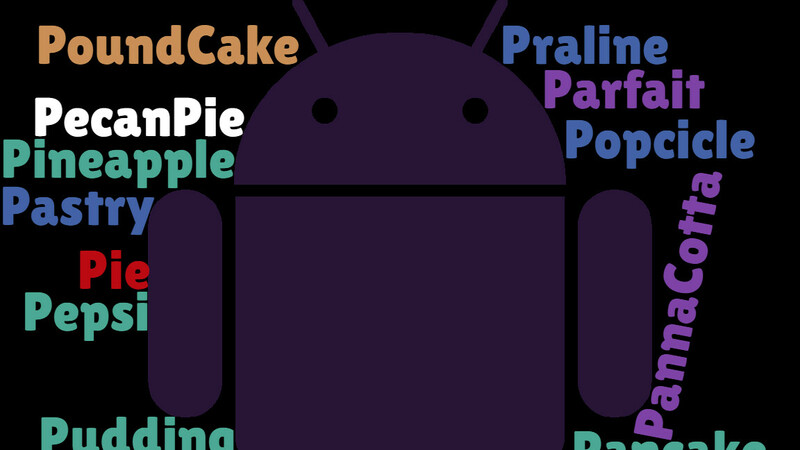 Google has made it a tradition to release milestone Android releases each and every year and guess what - 2018 is the time for the letter P, which will have the honors of headlining the dessert name. 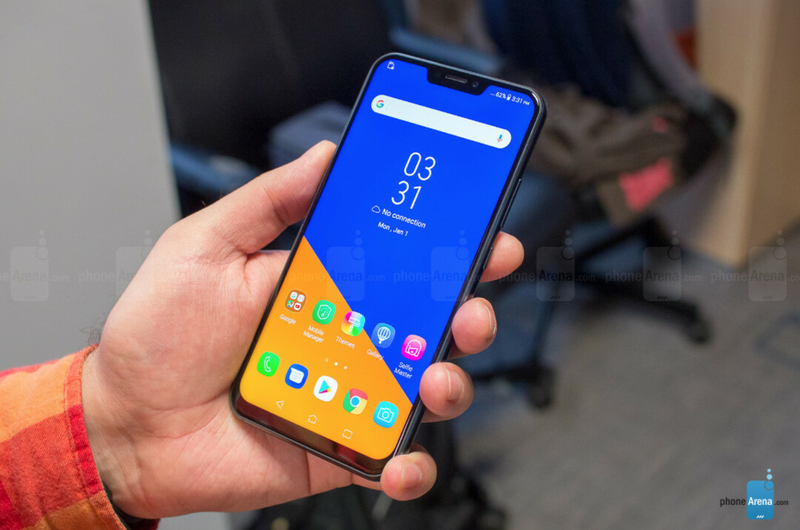 Now, unlike hardware leaks and rumors which usually rain upon us like a torrential flood once the debut of the device nears, software leaks and rumors are not as easy to come by. Actually, we normally struggle to pinpoint the probable features that will arrive with the new version of, say, Android or iOS beforehand, and that's quite normal. Fortunately enough, this year seems to be a bit different for Google's next major software release, which has enjoyed a surprising amount of leaks that should give us a pretty good understanding of what the P in Android 9.0's name will stand for. Indeed, many of the leaked features of Android 9.0 seem to be he heavily reimbursing the overall security of the operating system by adding tons of privacy-focused functionalities and features on board. Let us walk you through all the features that have been hinted to make an appearance so far. In a move that should ease the concerns of privacy-savvy users, Android P has been heavily rumored to greatly limit the liberties of apps running in th background and prevent these from accessing your camera or microphone when not authorized. In particular, the SELinux module should be preventing inactive UIDs and apps from accessing these essential hardware components after a certain amount of time. This should prevent wrongdoers from abusing app states and should add an extra layer of user privacy that should mitigate the potential damage a wrongdoing app could potentially do. Code commits reveal Android 9.0 P might have built-in support for a warning tone that will sound when a call is being recorded by the other party. According to XDA, should mobile carriers embrace the feature, it will detect the package name of the call recording app and insert a 1,400Hz tone that will blast every 15 seconds or to inform the user that the call is being actively recorded. Thus, this feature will allow for lawful call recordings in all the states that require both parties making a telephone call to consent to the act. At the moment, most states require only one of the parties to be aware of an ongoing call recording, but thankfully, it's illegal to record a phone call without informing all parties in a dozen states - California, Connecticut, Florida, Hawaii, Illinois, Maryland, Massachusetts , Montana, Nevada, New Hampshire, Pennsylvania, and Washington. The world might be divided on lots of things, but there's something that unites almost all human beings: everyone has a disdain for telemarketers who always call in the most inappropriate moment with the hopes of selling you something useless. It seems that Google has also pulled its sights on those as Android 9.0 is rumored to boast an ""enhanced call blocking feature" that will allow users to block calls from unknown numbers, private numbers, pay phone, or just about any number that's not part of their carefully-curated contact list. This will be a major boon for those who are often targeted by telemarketers and other unwanted callers. Over the years we've seen several Android skins and custom distributions with a similar functionality, but it's great to have it included into the Android foundation as well. With the advent of iris scanning biometric solutions, Google is seemingly readying up to support on the base level. Android P could potentially be the first Android version to natively support iris scanning and have yet another security unlocking solution. 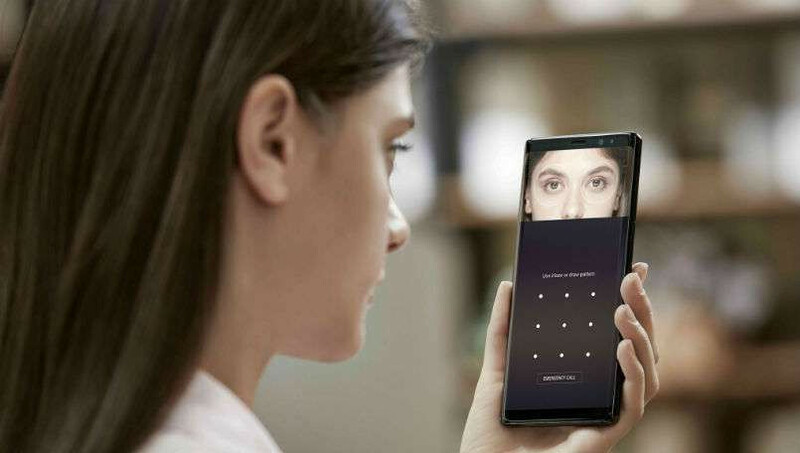 Granted, iris scanners have only been employed on Samsung's high-end phones like the Galaxy S8, S8+, Note 8, as well as Galaxy S9 and S9+, but supporting the hardware right off the bat will potentially drive more manufacturers to throw in an iris scanner on their upcoming devices. Android P could also score a native Bluetooth HID device profile service which will essentially allow you to use your phone as a Bluetooth keyboard or mouse with a compatible computer without having to rely on third-party apps that come dime a dozen on the Play Store. Interestingly enough, built-in code commits for that particular feature have reportedly existed inside Android for years, but are only now shaping to arrive as an official feature of stock Android. Once the feature becomes reality, you will be able to carry around one less piece of hardware on you when commuting. 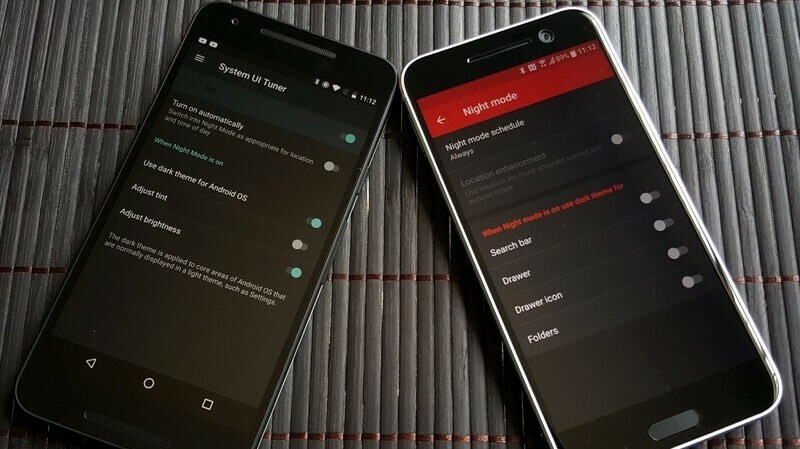 We know, we know, dark mode has been rumored to arrive on Android for years but sadly never really did arrive as a built-in system-wide theme. Small gains were made with Android Oreo, which introduced a dynamic launcher-settings theme that painted these in bright or dark colors depending on the wallpaper you apply. However, as OLED devices become more and more widespread, it make lots of sense for Google to finally cave in and introduce a pitch-black device theme that will introduce certain gains in terms of battery life in contrast with bright menu colors and whatnot. The evidence for this comes straight from the horse's mouth as Google AOSP moderators have revealed that this feature has been already developed and will be included in a future release of Android. Here's to hoping Android 9.0 will be it! MWC 2018 proved that nothing is too sacred and no smartphone maker is big enough to stop copying Apple's design decisions, which is we are about to see display notches on many Android devices in the coming months and years, unfortunately. And it seems that Google has predicted this fad as Android P will reportedly have native support for devices with unorthodox display shapes. Thanks to this, the operational system will take into consideration the hardware obstacle in the way of your notifications and other icons and take the necessary countermeasures to prevent vital information to be tucked away beneath a display notch. For years, Android has only powered orthodox devices with regular 16:9 displays, but for a while now, manufacturers have heavily explored alternative form factors and the software hasn't been quite up to that yet. 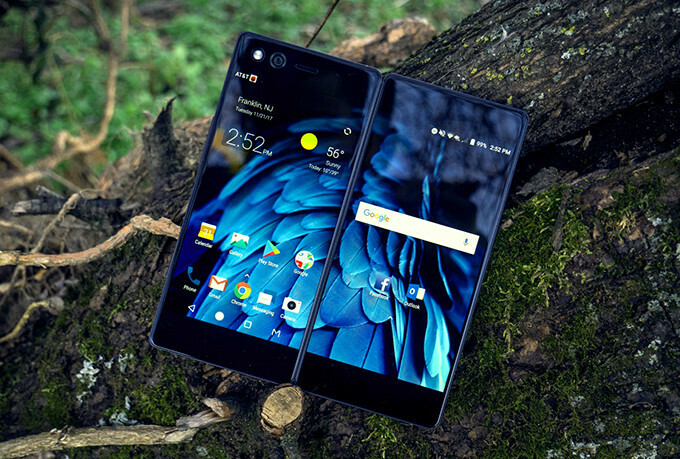 For example, ZTE's dual-screen foldable Axon M and Samsung's rumored Galaxy X are challenging the Android foundations by aiming to break the mold with new designs, and word on the street is Google is preparing accordingly. While the chances of you snagging such a device in the near future are rather slim, Android 9.0 and any subsequent Android version will likely support such irregular devices natively. Future-proofing, yay! A rather odd rumored feature of Android 9.0 will allow carriers to customize the signal bar icons on your device. Verizon and Co. will probably be able to determine the distribution of signal strength denoted by a certain number of bars universally now. In other words, the signal strength thresholds could move from device-specific (the current situation) to carrier-specific with the simple insertion of a new SIM card in future versions of Android. Domestic violence is a serious issue that Google is keen on tackling its own way. According to a code commit, Android 9.0 could hide those useful 24/7 hotlines for victims of domestic violence in order to prevent the abuser from finding out. It would appear that the OS will identify and hide these call entries from the call log of the device and it would appear as if the call to said sensitive number has never taken place. It seems that Android 9.0 will be able to pinpoint such numbers by matching them with a database and it seems that a number of domestic violence hotlines from countries like Great Britain, Spain, Germany, Portugal, France, Italy, Austria, and many other countries have been included. Currently, two different approaches have been rumored to exist, one created by smartphone maker BQ and the other one by Sony itself. It is yet unclear which contribution could be picked by Android dev team, but the final result should be the same. It has become a tradition for Google to surprisingly release a developer preview of its Android OS sometime in early spring, and rumors have it that things won't be much different in 2018. The first developer-centric preview of Android 9.0 P is expected to drop anytime now and will quite possibly be here before March draws to an end. This first build will introduce the major new features of the upcoming version of Android and will allow developers to prepare their apps for the official release of the OS. Of course, all important new features and functionalities of Android and Google's services will certainly be demoed and previewed on stage at Google I/O 2018 in two months' time. Speaking of the Android 9.0's official release date, we suspect that it be released sometime in mid-August. This has been the case for the past two years and we have no reasons to believe that this trend will be broken this year. Whatever comes, we will keep you posted. Indeed. I really like iris scanning unfortunately my eyes hurt a lot when I use it. I get nauseated and dizzy. Updates are important but phones should receive them too. What's the point of releasing new updates when your current update is running on < 2% phones? Google should do something about that, project Treble is a good idea though. That's the fault of manufacturers, my Nokia 6 is on Oreo and some regions started receiving the March security update. That's more than 200 million phones. Around 800 million android phones are sold each year. Lots of new features. From Dark Mode, to Iris Scanning, Call Blocking, to even Notch Support all seem like winners. Either Peppermint, Pastry or Pound Cake for Android 9.0 will do nicely. Please tell me why this is at all important, if less than 1/4th of Android users still don't have Oreo updates yet?